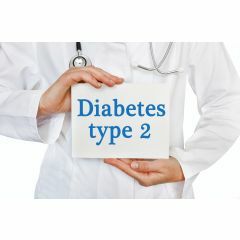 Type 2 diabetes is a chronic disease marked by high levels of glucose (sugar) in the blood. It is the most common form of diabetes with millions of Americans having been diagnosed with the disease. Some people have a higher risk for developing type 2 diabetes than others. They include African Americans, Latinos, Native Americans, and Asian Americans, Native Hawaiians, and other Pacific Islanders, as well as the aged population. As a home health aide you should know the special needs of your diabetic client. You should know whether they are taking insulin and be familiar with their nutritional needs. You should also be able to recognize when your client is having an insulin reaction which could be potentially dangerous and even life threatening. 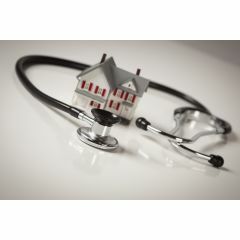 Combining medical technology and the human touch, the healthcare industry diagnoses, treats, and administers care around the clock, responding to the needs of millions of people -- from newborns to the terminally ill.
Home healthcare workers help ill, elderly, convalescent, or disabled persons who live in their own homes instead of in a healthcare facility. Home healthcare workers encompass a variety of occupations, including nurses, home healthcare aides, physical therapists, occupational therapists, speech therapists, therapy aides, social workers, and hospice care workers. 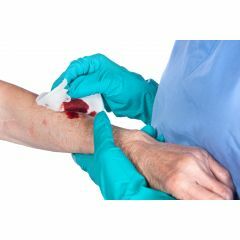 This course addresses blood-borne pathogens, which can affect healthcare workers in the home care setting and the steps the employer/supervisor can take to reduce blood-borne pathogen exposure. All health care workers who lift and move patients are at high risk for back injury and other musculoskeletal disorders. A work-related musculoskeletal disorder is an injury of the muscles, tendons, ligaments, nerves, joints, cartilage, bones, or blood vessels in the extremities or back that is caused or aggravated by work tasks such as lifting, pushing, and pulling. Symptoms of musculoskeletal disorders include pain, stiffness, swelling, numbness, and tingling. Latex, or natural rubber latex (NRL), includes products made from dry, natural rubber. Allergic reactions to latex range from mild to severe, including skin rashes; hives; nasal, eye, or sinus symptoms; asthma; and (rarely) shock. Most persons who are sensitive to latex are not born with the allergy. They develop it after repeated exposures to products that contain latex. 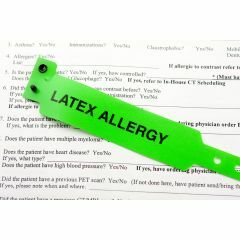 Limiting exposure to latex is important for both home healthcare workers and the clients in their care to prevent allergic reactions to latex. Federal law requires that all people receiving home care services should be informed of their rights as a patient. Because these rights are the guiding principles by which effective and appropriate care is provided, all home care workers should be familiar with patient rights. This course details those rights. Also explained are advance directives which are legal documents that detail a patient’s health care preferences and end-of-life decisions. Purpose: To increase the participant’s awareness of occupational hazards that can occur in the home health care setting and measures that can be taken to prevent injury should hazards occur. Hazards addressed include occupational stress; workplace violence infectious diseases; and exposure to unsanitary work conditions, environmental temperature extremes, travel risks, falls, and chemical hazards. Elder abuse is a serious problem. Every year an estimated 2.1 million older Americans are victims of physical, psychological, or other forms of abuse and neglect. Health care professionals often are in contact with elder adults in the hospital, clinic or nursing home setting. Recognizing the signs and symptoms of elder abuse and then reporting your suspicions are important first steps in resolving this problem, and you may be saving someone's life! 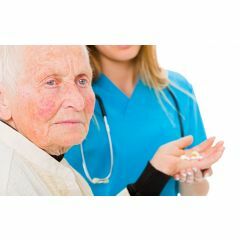 This course discusses the care of individuals with dementia and is intended to meet the Center for Medicare and Medicaid Services (CMS) requirements for dementia training. Topics covered include communication, behavior management, abuse prevention, and dementia. All staff working in the long-term care setting will increase their knowledge and skills in caring for people diagnosed with Alzheimer’s disease and other types of dementia.